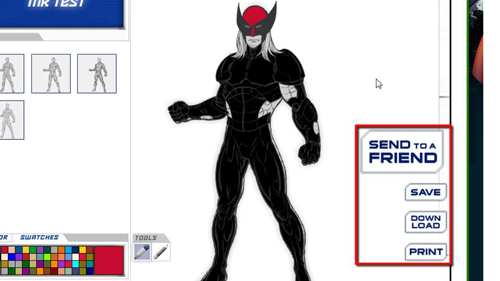 In this tutorial you are going to learn how to create a superhero online in a minute or less, as it’s a very easy process thanks to the help of Marvel.com. 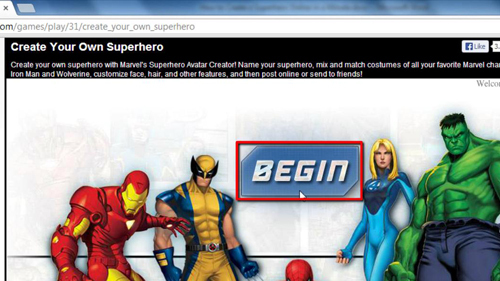 Open up your web browser and go to “http://marvel.com/games/play/31/create_your_own_superhero”. Click the “Begin” button in the center of the page to get started. Now select a base body from the three options – click on the base you want to continue. Towards the left, with a blue background you will see the text “Type Name Here”. Click it and change the name. 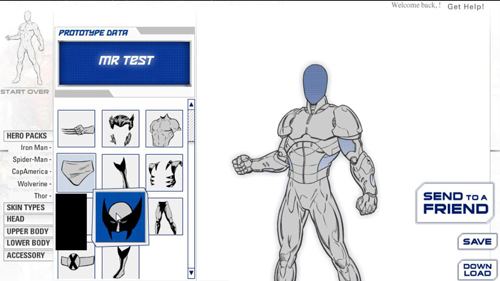 To the left of the character’s name there’s a navigation menu with options to customize your superhero; “hero packs”, “skin types”, “head”, “upper body”, “lower body” and “accessories”. After clicking one of them, you will have the option to select from a drop down list. 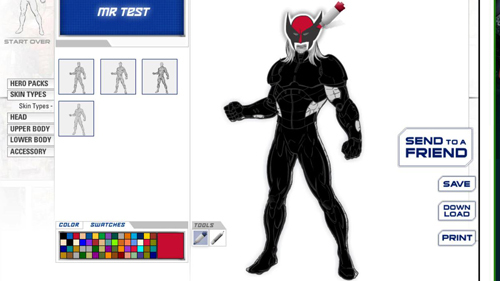 Customize each option before you start adding color to your Superhero. Towards the bottom, there’s a color box with two tabs; “color” and “swatches”. Directly to the right you will see “Tools”, with two options. The first one is to color the Superhero and the second one is to erase parts of the superhero. Pick a color from the “color” or “swatches” section and then hover over the character to and left-click to color him or her in. You have now learned how to create a superhero online in a minute, you can now print, download or share it by clicking one of the options to the right of the superhero.